Over 60 companies operate from the premises, and soon will be incorporated new airlines. Twelve million passengers used the airport facilities in Malaga in 2010 in more than 100,000 flights. 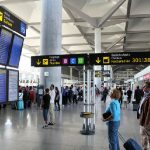 A figure that places the airport as Spain’s third largest, with an upward trend and a growth of 9.6% last year despite the impact of the crisis. Much of these data are due to direct connections which have been created with other Spanish and international airports. 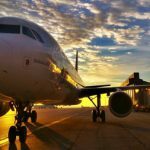 No fewer than 89 airports have flights to Malaga, a figure that shows the versatility of these facilities and which continues to grow significantly in summer, with one hundred airports. The presence of low cost carriers has played a major role in international development, as they have created many connections with airports in Europe. 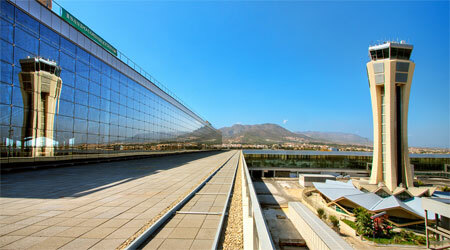 Malaga can be accessed by the four London airports and two of Goteborg (Sweden), giving more flexible hours and days. This has proved essential to ensure the tourist attraction of the Costa del Sol, which has maintained its development from the 60’s through the airport infrastructure and its extensions. Malaga airport has some 60 airlines operating from its facilities, which ensure a good connection with Europe, but also direct flights to America (New York, Montreal and Toronto) and Africa (Casablanca, Tunisia). Precisely flights to New York and Canadian cities represent a major point to attract tourism from these countries, very interested in golf and cultural offers as well as with a large purchasing power. In addition, important links are maintained for the tourism industry with countries such as the Russian Federation, Germany, UK, Italy, France, Norway, Finland, Denmark and the Netherlands. 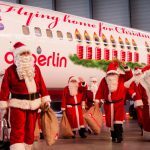 In fact, the most popular international routes from Malaga are London, Dublin, Manchester, Paris, Liverpool, Birmingham and Amsterdam. In domestic destinations, there are 16 Spanish cities with flights to Malaga, but the most important are Madrid and Barcelona. Other important connections are with Valencia, Tenerife, Palma de Mallorca, Bilbao, Ceuta and Melilla. Malaga is one of the major European cities with more direct connections to the UK. And this country has become the main foreign source market of the Costa del Sol. A fact that shows the importance of the UK market is that 20 of the 89 destinations connected to the city are from the UK. For the immediate future, the airport plans to install new companies; Turkish Airlines has expressed interest in operating from the city, while Jet2.com, SAS and Finnair want to expand the destinations that work with Malaga. Among recent developments, on February 1st, opened a direct flight between Malaga and Montreal (Canada), operated by Air Transat. 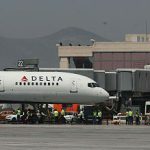 This route will be maintained during spring and summer, and will stop working in late October, with a system similar to that used on the Delta flight to New York. The opening of the T3 in March 2010 allowed to accommodate new flights and companies, but especially opens the market to exploit the second runway and large commercial aircrafts such as the Airbus A-380 or the Boeing 797, with capacities of more than 800 passengers, which will consolidate long-haul flights from Malaga in the future.